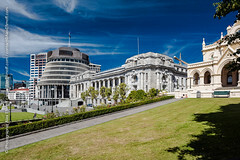 WELLINGTON – As less tourist flock to New Zealand, and as the country’s housing boom dies down, the national government looks like it may soon see a drop in tax collections. New Zealand’s continued higher-than-expected tax revenue results may not continue into the foreseeable future, according to information detailed in a new report released by the New Zealand Treasury. Over the 12 month to December 2016, the tax revenues of New Zealand grew by 8.5 percent compared to the same period in the previous year. The growth in tax revenues also outpaced the growth in the national GDP level, and similar growth levels have been seen over the last two years. The primary drivers behind the higher-than-expected growth have been rises in the collection of GST and corporate income tax, and higher than expected source deductions, such as employer superannuation contributions and Pay-as-you-earn income tax payments. Over the 12 month ending December 2016, the collection of GST was up by 9.8 percent, while source deductions and corporate income tax were up by 7.1 percent and 16.8 percent, respectively. It was noted that the factors driving these strong collections, primarily inbound-tourism and residential investment, are not expected to be maintained for a significant period of time, meaning that the collection of taxes may fall back to, or below, the level of GDP growth.